Welcome to InterDating, elite dating club presenting beautiful, intelligent, marriage-minded single Ukrainian ladies. 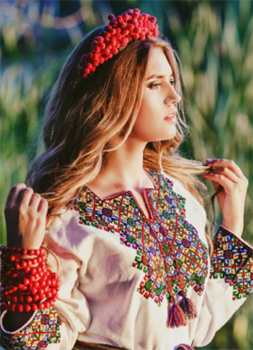 We are happy to show You that Ukraine is not only a fascinating country, but also a homeland for the world's most beautiful and classy Ukrainian women. Check out photos of our staff and the office we own in the best area of Kiev center. Most of the photos taken in our own photo studio. Girls required coming to the office for an interview and to fill out questionnaire for screening purposes. After regular check up we remove girls immediately if information is outdated or they do not show real interest. You will see many girls in our catalog, not available anywhere else. They are friends of our girls-clients and would never apply for help. But they come to us by recommendation of their friends happy with our services. We work personally with every Man understanding his needs and desires, trying to deliver the best results possible. With your requirements for future partner we evaluate your chances of success. Recommendations based on our personal experience and knowledge of the girls will help to find your perfect Woman. Being professional matchmakers we offer the most effective methods of finding your future partner. Our goal is not to make money on selling addresses, correspondence, arranging group tours like others do. We want you to succeed. We want you to stay together and be happy with your lady. 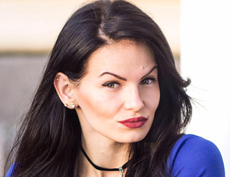 InterDating Club is registered in the name of Alexander Khavruk as a Solo Proprietor with a license for International Dating services, Modeling agency, Photo-services, operations with real-eastate, Apartments and car rentals. Registration Certificate issued by the State Administration on April 11, 2001. Company has a 5 full time registered employees and 4 working part time on contract basis. 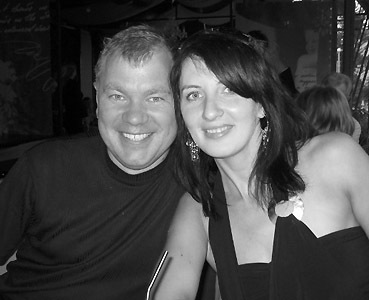 Company managed by Oksana and her husband Alexander. Delphania - VIP exclusive matchmaking club specializing in introductory tours to Kiev. We take care of your very special wishes. Alexey is general manager and director of UARent. To run such responsible business he posseses all needed qualities a general manager should have. 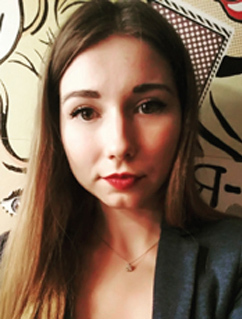 Alexey is very diplomatic, responsive, patient and knows each and every little detail of the business so your stay in Kiev is comfortable and safe. He is available to answer any of your questions regarding the city, apartments and everything you need. He is fluent in both English and Spanish. definitely helps us to create that positive image our firm has. Tamara is professional, polite, diplomatic and knowledgeable person. At the same time she is very smily, full of energy and may solve any situation with proper care. She speaks fluent English and German. 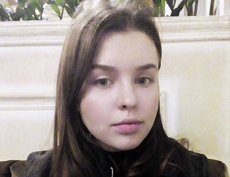 Viktoriia is a manager-interpreter. She works with the clients from English-speaking and German-speaking countries. Being cheerful and easy-going personality, Viktoriia is hard working and very responsible. She is master of Sports, five-time champion of Ukraine and bronze medalist of the World Cup in kick-boxing and Taekwon-Do. No doubt you will enjoy working with her while in Kiev. Veronika and Masha are managers in dating and rental apartments. They will help you with any questions you have in Kiev. They both know everything about Kiev restaurants, sightseeing, events, shows etc. They do speak English. Alice works with Spanish-speaking customers. Very smart and sensitive girl, takes care of customers the best way. Speaks Spanish and English. We invite you to visit Kiev, meet fascinating Ukrainian ladies and who knows - maybe to find your destiny! Our Team will do the best to achieve your desired goal and make your stay in Kiev pleasant and unforgettable. Peter: Ihr seid echt Spitze und habt einen sehr guten Job gemacht. DafÃ¼r herzlichen Dank an Euch! Why would I want to marry a Ukrainian woman?